Me encantan los reflejos de la luz en esta fotografía. ¡Felicidades! So beautiful dear Leovi, the warmth of the sky and colour of the crystal is magnificent. un rêve aux couleurs magnifiques ! Brilliant colors in that one! i like the brokenness of it. The pink one is cute ! 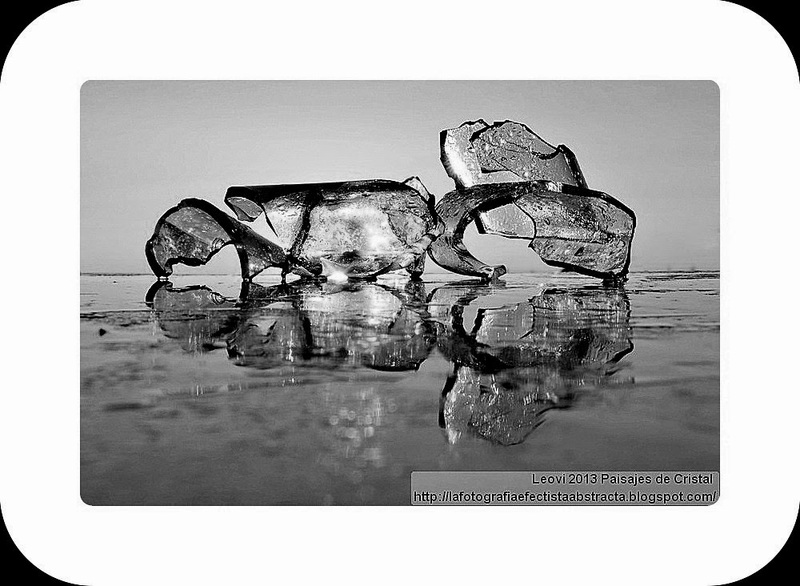 Ah pretty, like broken ice, just at it's lovely best! Yes, I go with number 1, beautiful. Beautiful! I especially love the first one! Very interesting and beautiful, Leovi. Consigues unos colores, unos brillos y una nitidez impresionantes!!! The multicoloures is my fav. Aunque dicen que en la variedad está el gusto, fíjate que hoy con esta composición, renuncio al colorido y toda su intensidad en favor de la definición de la textura. Es como darle la caña al sueño; la tonalidad aparecerá como el efecto lo hace ante la causa. Una bonita forma de verlo Juncal, sí, a mi la tercera me parece la más onírica. Roturas de cristales y reflejos llenos de bellezas. Come over and see my photos, info and such, k? k. Your photos today are a bit more creative and of course, I love seeing them. Really love the structure of this! Dear Leovi, again a great picture for this week. Fantastic artwork! You got awesome composition here in a different perspective! I must try abstract photography too. I've always just ventured in scenic ones. These are different and simpler shapes. Again, I like the black and white. Wish my dreams were this colorful even when broken. Your last tone perfect for today's pinks. Just stunning - love the colors as well as the grayscale. I love the colors! Thanks for sharing with SYC. Love the B&W version, this time leovi! Beautiful greyscale, details and reflections! Wonderful abstract photos! My favorite is the B&W version. Great light and reflections! Lovely colors and shapes. Just beautiful. There's something spring-like about this photo! Oh, so lovely! It looks like sunset. I really love something about the combo of colors in this posting. Very summery! Great job...Thank you for joining our Challenge last week at Word Art Wednesday. The current challenge is midway and hope you join us again. Leaving you with God's Word to ponder on from Romans 15:4 and it says, "For everything that was written in the past was written to teach us, so that through endurance and the encouragement of the Scriptures we might have hope." God bless always!